FIRST TIME orders MUST purchase the Instructors guide AND student workbook KIT. Workbooks CAN NOT be used without an instructors guide! 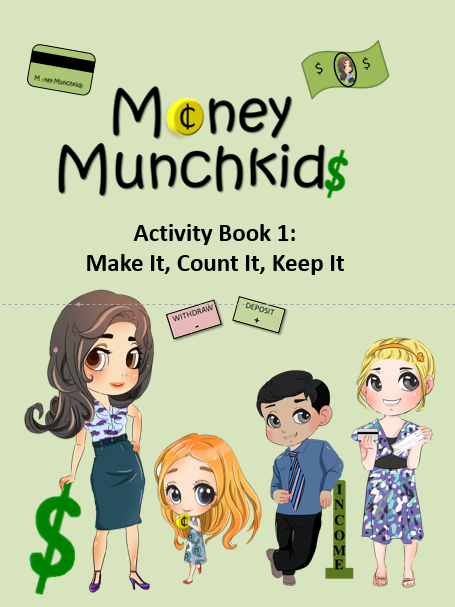 Activity book 1 teaches kids about identifying, earning and saving their money. 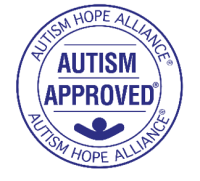 Topics covered include coin identification and values, banks, bank accounts, ways to earn money and more! This activity book makes learning about money interactive and fun through mazes, word searches, drawing, short stories, eye spy activities and more! 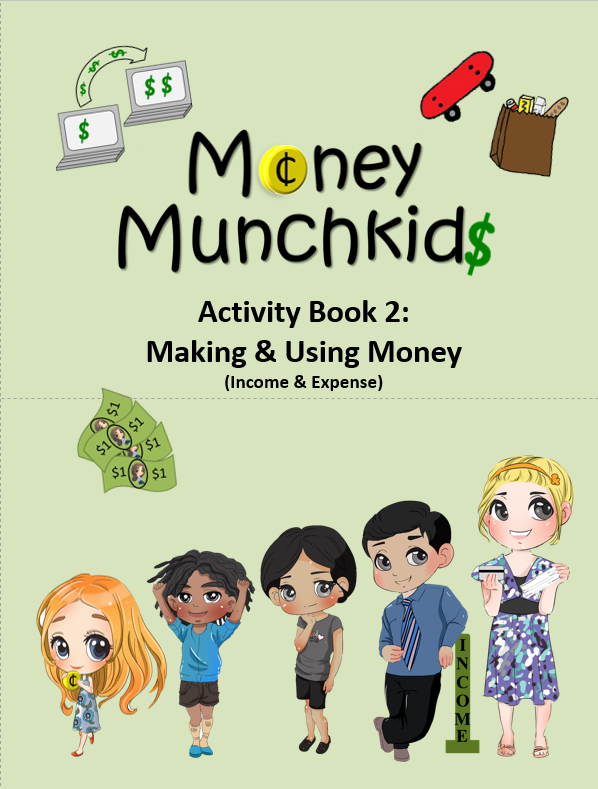 Activity book 2 teaches kids about income and expenses. Topics covered include types of income, ways to earn money, types of expenses, bills, jobs, needs v.s. wants and more! Give your kids hours of educational fun with our home bundle pack. Perfect for entertaining kids with education fun after school or during summer vacation! *Image may not be an exact replica of the current home bundle pack. What a great activity book! The characters are easy to relate to, the pictures are great, and the activities keep it fresh. My kindergartener liked some of the activities that she could do by herself. My older son could relate to saving money for toys and things as well as having a bank account. He also liked practicing writing his own checks. 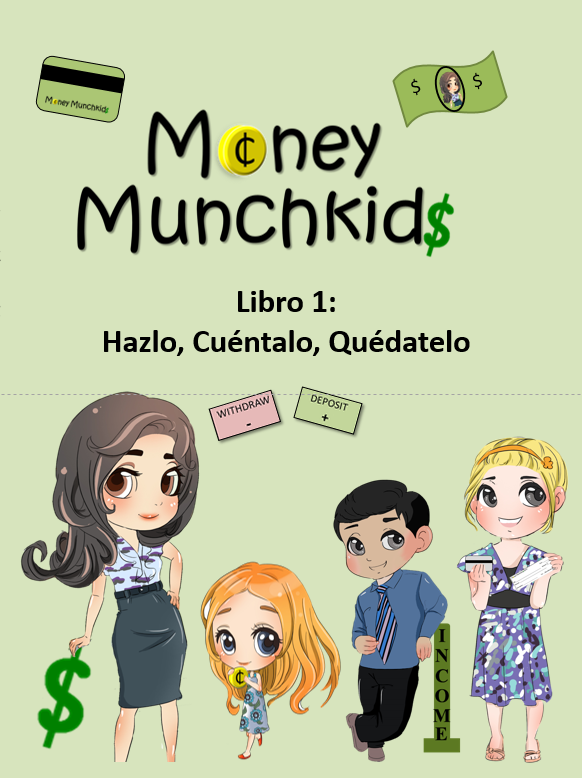 This is a great book to share with a child or just to have them work on learning about money on their own. 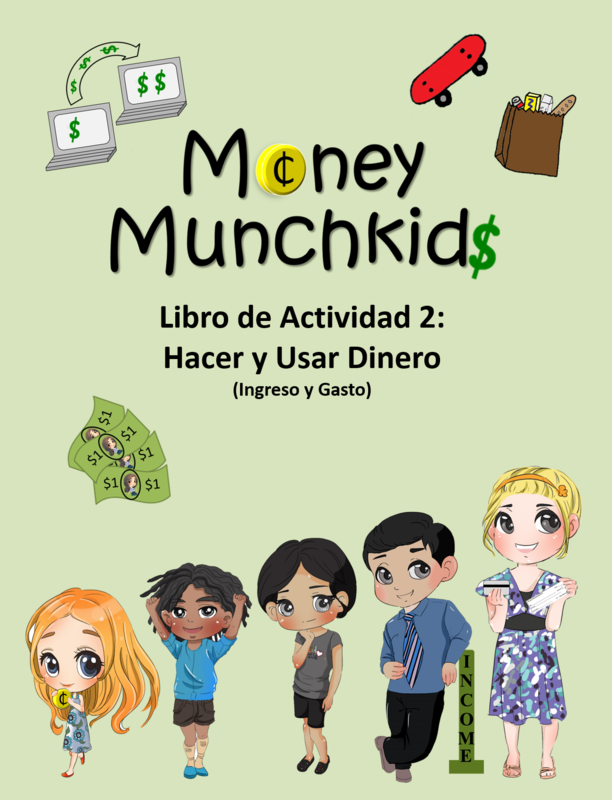 I recently recieved a copy of money munchkids to review with my five year old. 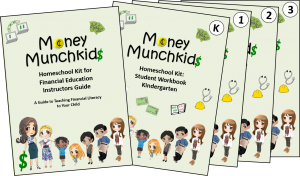 Money Munchkids activity book 1 explains basic money skills as well as saving, spending, and banking concepts. The book is very self explanatory and has a lot of different fun activities. My daughter especially enjoyed the maze and seek and find word puzzles. I love that it not only talks about spending and saving but also gives children ideas for ways to generate money as well. Susie has decided she wants to set up a Lemonade stand this summer to sell lemonade. She is wanting to make money to buy a new dress for her babydoll. 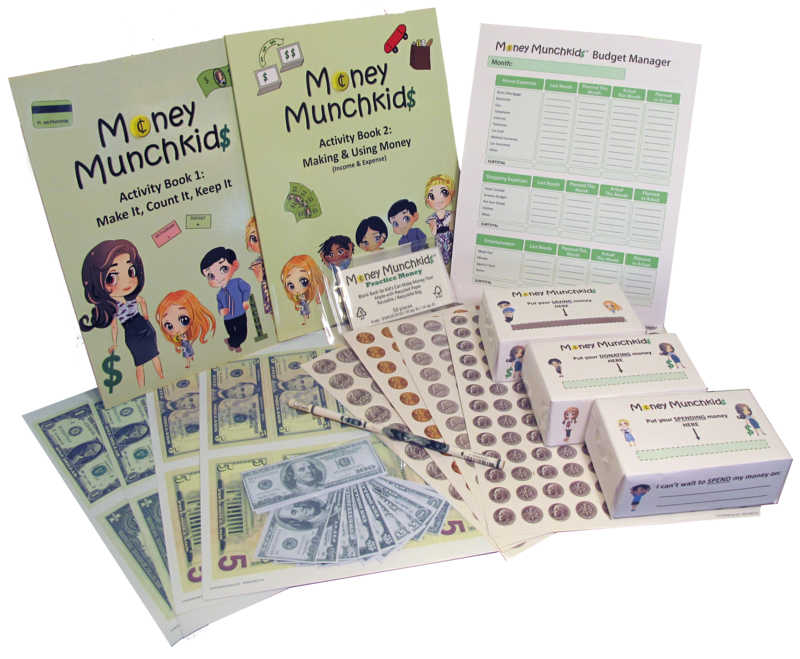 Money Munchkids is a great tool for parents to talk to their children about money. I highly reccomend it.